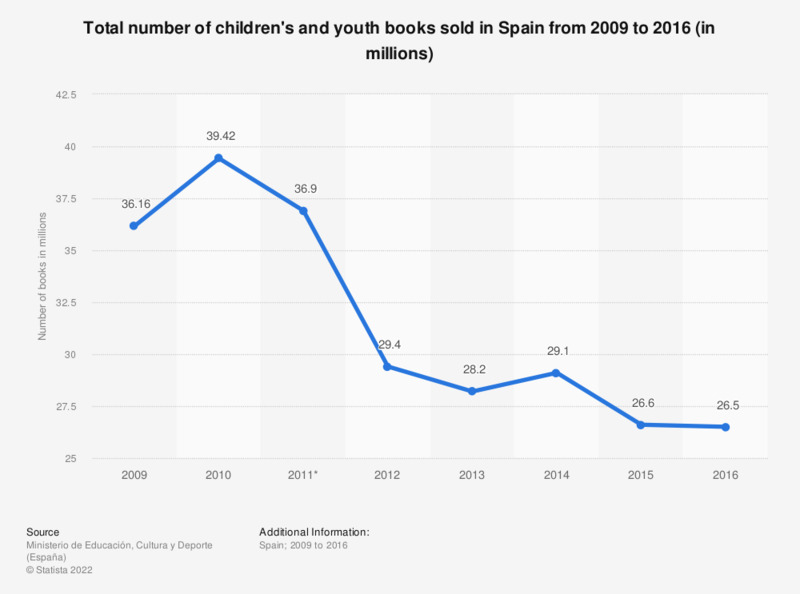 This statistic shows the total number of children's and youth books sold in Spain from 2009 to 2016. In 2016, children's and youth book sales amounted to more than 26 million copies. This figure represented a small decrease compared to the previous year. * Figures for years 2009 to 2010 were previously published by the source.